Liturgical music originated as a part of religious ceremony, and includes a number of traditions, both ancient and modern. Liturgical music is well known as a part of Catholic Mass, the Anglican Holy Communion service (or Eucharist), the Lutheran Divine Service, the Orthodox liturgy and other Christian services including the Divine Office. Such ceremonial music in the Judeo-Christian tradition can be traced back to both Temple and synagogue worship of the Hebrews. The qualities that create the distinctive character of liturgical music are based on the notion that liturgical music is conceived and composed according to the norms and needs of the various historic liturgies of particular denominations. The interest taken by the Catholic Church in music is shown not only by practitioners, but also by numerous enactments and regulations calculated to foster music worthy of Divine service. Contemporary Catholic official church policy is expressed in the documents of the Second Vatican Council Sacrosanctum Concilium, the Constitution on the Sacred Liturgy promulgated by Pope Paul VI on December 4, 1963 (items 112-121); and most particularly Musicam sacram, the Instruction on Music In The Liturgy from the Sacred Congregation for Rites, on March 5, 1967. While there have been historic disputes within the church where elaborate music has been under criticism, there are many period works by Orlandus de Lassus, Allegri, Vittoria, where the most elaborate means of expression are employed in liturgical music, but which, nevertheless, conform to every liturgical requirement while seeming to be spontaneous outpourings of adoring hearts (cf. 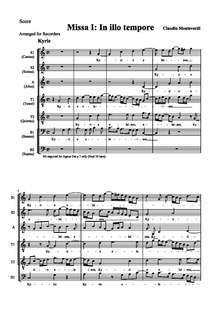 contrapuntal or polyphonic music). Besides plain chant and the polyphonic style, the Catholic Church also permits homophonic or figured compositions with or without instrumental accompaniment, written either in ecclesiastical modes, or the modern major or minor keys. Gregorian chant is warmly recommended by the Catholic Church, as both polyphonic music and modern unison music for the assembly. Prior to the Second Vatican Council, according to the motu proprio of Pius X (November 22, 1903), the following were the general guiding principles of the Church: "Sacred music should possess, in the highest degree, the qualities proper to the liturgy, or more precisely, sanctity and purity of form from which its other character of universality spontaneously springs. It must be holy, and must therefore exclude all profanity, not only from itself but also from the manner in which it is presented by those who execute it. It must be true art, for otherwise it cannot exercise on the minds of the hearers that influence which the Church meditates when she welcomes into her liturgy the art of music. But it must also be universal, in the sense that, while every nation is permitted to admit into its ecclesiastical compositions those special forms which may be said to constitute its native music, still these forms must be subordinated in such a manner to the general characteristics of sacred music, that no one of any nation may receive an impression other than good on hearing them." This was expanded upon by Pope Pius XII in his motu proprio Musicae sacrae. 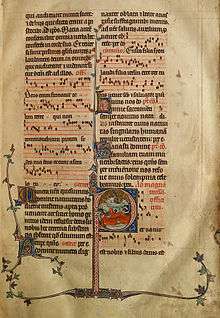 Wikimedia Commons has media related to Church music.